Pastoralists-farmers’ conflicts in Nigeria have grown, spread and intensified over the past decade and today poses a threat to national survival. 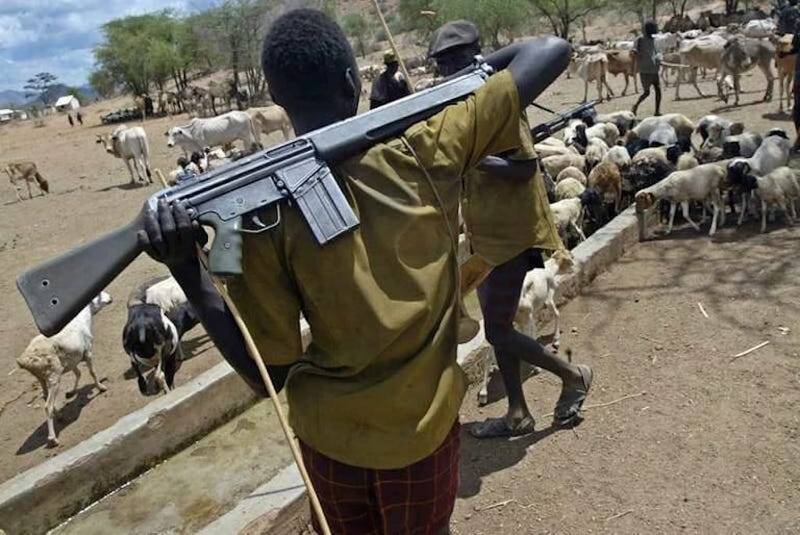 The conflict itself has transformed from a crisis of pastoralism to organised criminality, starting with cattle rustling to mass kidnapping for ransom in most parts of the country. The violence is intense and the security agencies have become overwhelmed by the scale and ferocity of the atrocities. Increasingly, the practice of both pastoralism and agriculture is grinding to a halt in much of the country and Nigeria’s existential crisis is getting very grave. This violence has a fifty-year itinerary and the only thing new has been the growth in its intensity. What researchers on the theme are saying is that these conflicts began over five decades ago due to a number of major changes. The first was the collapse of local government and the end of the public administration of the traditional burti system of cattle routes (burtali) that ensured that cattle could move without destroying crops by encroaching on farms. The second was the explosion of Fadama agriculture, following the success of the World Bank agriculture development projects. With high value agriculture around the sources of dry season water, cattle could no longer access the water and grass in the Fadama and had to move elsewhere. It should be recalled that previously, most of the Fulani pastoralists were mainly concentrated in the semi-arid zone of Northern Nigeria. The third factor was medical – the effective treatment of trypanosomes’ and other diseases that made cattle rearing in more humid environments in the South previously impossible, without significant losses to the herds. Medical advances meant the herds could move to the forest zone without notable loss. Communal conflicts arise when grazing cattle are not properly controlled and they consequently graze on cultivated plants like cassava, maize, etc. As traditional modes of conflict resolution between herdsmen and farmers breakdown, the destruction of crops lead increasingly to communal conflicts between the two groups. Host communities tend to register their grievances by placing restrictions on the movement and grazing of cattle in designated areas and enforcing compliance through coercive measures decreed by vigilante groups, which may take the shape of killing stray cattle or arresting and prosecution defaulters. As these conflicts aggravate, the Fulani herdsmen, who are losing more and more of their cattle and sometimes their lives, also resort to violence by attacking such communities. Pastoralism, we should remember is the main livestock production system in much of Africa, having pastoralists live in semi-arid zones. It is a historically developed strategy of coping with the uncertainties associated with climate change, epizootics, the build-up of parasites and other related challenges. It is, above all, an efficient way of producing livestock at relatively low prices through the use of non-commercial feeding stock. It is, however, a system that requires administration to keep the peace. That was why cattle tax existed to pay for the administration; and when the system collapsed due to neglect, there was no one to keep the peace. The problem was not pastoralism, it was the collapse of public administration. The cumulative effect of rural banditry and the various challenges faced by pastoralists have created conditions that severely limit the development of the livestock industry in the country. The industry has also suffered because no State in Nigeria has a significant livestock development programme and virtually no one is talking to the pastoralists. Today, many communities in Nigeria are looking for guns to protect themselves from what they call Fulani banditry. This is a very bad idea, as that’s how we got into trouble in the first place. When pastoralists started arming themselves, it was for protection against local vigilantes, then they discovered that the same guns could be used to steal the cattle of their fellow pastoralists. Let’s not forget that cattle rustling is an age-old practice of pastoral communities, used for forming herds and obtaining cash and meat. Over the past decade, as they got guns, cattle rustling transformed into a vicious criminal activity far beyond a quasi-cultural practice. The result is that the scale of loss of both herds and human life has been escalating and the victims have been mainly Fulani pastoralists, commercial livestock breeders and increasingly, ordinary peasant farmers who own a few cows. Abubakar Siddique Mohammed and Massoud Omar from Ahmadu Bello University have done extensive research on the issue in Zamfara, Katsina and Kaduna States. The first phase of the crisis arose around cattle rustling, as families who had lost their herds sought to rebuild these through stealing from others. Those with arms succeeded and the losers learnt the instrumental value of procuring arms. As arms flowed in, those with cattle ran away. The arms were then used to steal from the farming community but farmers are relatively poor folks and there wasn’t much to steal. Highway armed robbery and kidnapping then became the activity that could pay both for the high cost of the arms and produce a profit. As communities in the zone established self-protection vigilante groups known as “yan sa kai” or volunteers, the arms race was bound to accelerate for the simple reason that you cannot fight AK 47 with clubs and daggers. As they procured arms, the main victims continued to be the communities. The cumulative effect of rural banditry and the various challenges faced by pastoralists have created conditions that severely limit the development of the livestock industry in the country. The industry has also suffered because no State in Nigeria has a significant livestock development programme and virtually no one is talking to the pastoralists. No one is trying to understand their problems or guiding them. According to Saleh Momale of Bayero University, the reality is that there is an acute degradation of pasture all over the country and there is less of it available. The pastoralists are running helter-skelter as the Chad basin for dry season pastures are affected by the Boko Haram insurgency and insecurity. The Zamfara/Katsina wet season pastures are closing due to intensive cattle rustling and kidnapping. The Dandume/Birnin Gwari area has suffered the same fate. With these troubles, the herders flocked to the Southern Kaduna, Benue and Nasarawa zones, where the crisis broke out over the past five years. The situation was then worsened by four States – Benue, Taraba, Edo and Ekiti – enacting anti-open grazing laws. The pastoralists who have 20 million cows with nowhere to run and nowhere to hide have become upset with Nigeria. Historically, the greatest generator of conflicts has been corruption – the activities of the police and to a lesser degree the army and lower courts. For half a century, these security organs have been frequently arresting and charging Fulani pastoralists to court, sometimes for no just cause and thereby forcing them to sell their cattle to pay huge bribes. Studies by Saleh Momale draw attention to the dangers of the current trends. As pastoralists are being blocked out of traditional grazing reserves due to growing insecurity, they are getting forced into adopting pastoralist methods that increase, rather than decrease, conflicts and discord. Traditionally, pastoralists disperse themselves so as not to overgraze areas and encroach on farms. With rising insecurity however, they are being forced to move in large groups in smaller spaces as they get blocked out of their traditional grazing zones. This large-scale concentration of pastoralists in limited ranges allows them to protect themselves against attacks. The paradox is that the more concentrated they are, the more damage they do to crops, which in turn fuels more violent conflict. This conflict-generating trend can only be reversed when security in rural Nigeria begins to improve. Historically, the greatest generator of conflicts has been corruption – the activities of the police and to a lesser degree the army and lower courts. For half a century, these security organs have been frequently arresting and charging Fulani pastoralists to court, sometimes for no just cause and thereby forcing them to sell their cattle to pay huge bribes. That was the original sin that led to large numbers of herders losing their cattle. The effect was that the process led to the gradual destitution of thousands of herder families. The youth from this destitute families are aggrieved at Nigerian society, which has ruined their centuries of accumulation of wealth in the form of cattle. When these youth strike, they show no mercy and take no prisoners. There is also very weak leadership among the pastoralists. Many of their appointed leaders collude with the police to extort the innocent cattle herders over minor issues. There is a huge enterprise of extortion going on, and too many innocent cattle herders are paying the price. When crimes are committed, the innocent are arrested in a primitive attitude of collective punishment and extorted. The judiciary is inefficient, slow and punitive to the pastoralists. The core problem therefore is that the state is largely absent in rural Nigeria, in terms of its role in social and security provisioning. There is widespread poverty, absence of social and physical infrastructure, access roads, schools and primary health centres. The state is however present as an organ of oppression, especially at the level of corrupt lower court judges who give their judgments to the highest bidder. Too many pastoralists have been pauperised as corrupt judges and police action have deprived them of their cattle. There has been of a prolonged state of injustice – “zalunci” – that the herders believe they have been subjected to by corrupt judges and village heads. In instances where herders became involved in litigations when their cattle trespass on farms and destroyed crops, they were made to pay heavy fines, often disproportional to the damage caused. The lazy Nigerian State has just discovered the crisis in Zamfara is due to illegal mining. Be real, its much wider and deeper but also simpler. Cattle need access to forage and water.